I woke up about an hour ago, around 7:30 AM. I mentioned in my previous post that I started going to bed early and waking up early to try and improve my health and my life in general. And I think it`s working! I no longer have dreadful dark under eye bags, I am not as puffy in the morning as I used to be and my skin seems to be glowing. Though the skin thing might be due to large amounts of water I`m drinking (well, large for me- I drink between 1.5 and 2l a day, and I used to drink only a glass or two before). You see, I used to lead a rather unhealthy lifestyle for the past 5 years I`d say, ever since I started high school up until this last summer (4-5 months ago). I had a really bad time in high school, and I guess all the stress caused me to have insomnia. It was totally normal for me to go to sleep around 3 AM, and then wake up at 6 AM for school. It was awful, but I just wasn`t able to fall asleep easily. Besides the not being able to sleep, I also developed anxiety and started having panic attacks on a weekly bases. And I started over-eating. I didn`t know what it was, but I just couldn`t resist myself. Well, I found out in June this past summer. 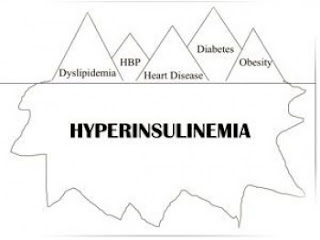 I suffered from a chronic illness called hyperinsulinemia. 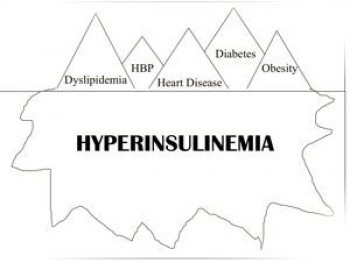 Hyperinsulinemia is essentially a problem with insulin levels. For example, normal insulin levels after eating should be less than 30 - and mine was over 200! My mum did some research, and we realized that almost all problems I used to have were caused because of that access insulin in my body. So I started taking medication for it at the end of August. The medicine I`m taking is actually a common drug used to treat type 2 diabetes - Glucophage. It just helps your body produce less glucose from the liver. And it does wonders! I think that will be it for today`s post, I know I wrote a lot.. But hey, if I`m going to write about the healthy changes in my life, then I should give you a glimpse into how unhealthy I was! I am going to go study now, I hope you have a wonderful day!